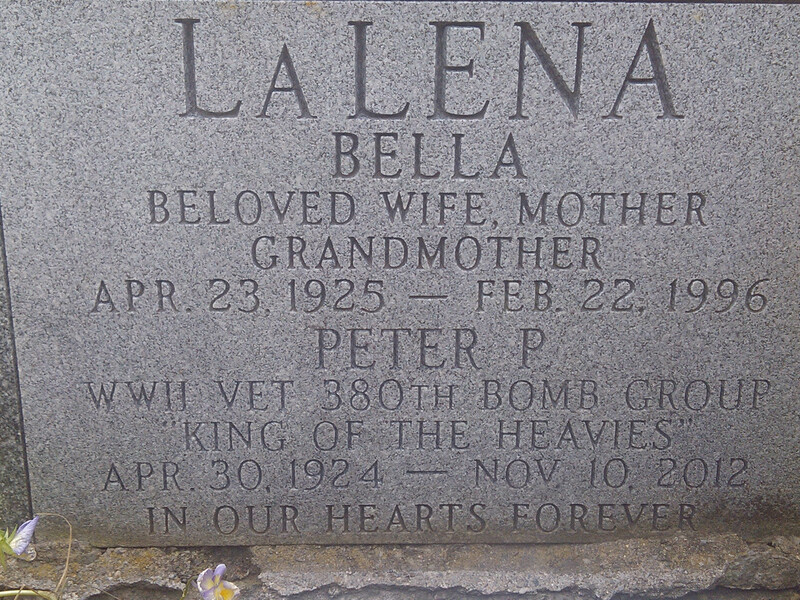 I wanted to pass you this endearment we did on my Dad's headstone. He always said the best times of his life was during this period. How ironic...with a war and all. My father was a bomber pilot in World War II. I have waited way too long to search for information on what he actually did in the war. Next week I'm vacationing with my 5 children. I decided to bring along some family memorabilia. Among the items were a few references to my father and his service in the 380th Bombardment Group. According to family stories, my father enlisted in the Army Air Corp sometime after the United States went to war in 1941. He was assigned to a base somewhere in the Southern states, and later became a trainer for pilots. He eventually went to the Pacific war theater. Dad once told me he was in the first group of married men who went through pilot training. According to him, they were the first bunch of trainees to get through training with no fatalities. In his personal files, which I received after his death in 1989, I found old photographs of bombers which were painted with the names "Big Time Operator", "Bugs Bunny" and "Senator". I do not know if my father actually flew in any of these planes. A photocopy of a list of names and addresses titled "NEW MEMBERS - 6 September - 7 December 1983", includes my father's name and his last address in Myrtle Beach, SC. Also listed on the page for "Havner's Crew" are Francis Bailey, Engineer; James Barber, Gunner; Charles Gibson, Gunner; Herbert Johnston, Gunner; Harry Lewellen, Gunner; Clark Morehouse, Co-Pilot. My father never spoke to me about his World War II experiences. My 3 older sisters have never shared anything he may have told them about what he did and where he travelled outside the United States during the war. My oldest sister was born in 1939 and does remember moving to the South with our mother and her younger sister to be with Dad at the training base. NOTE: My interest in checking up on what my dad did during the war has been sparked by a friendship with a man who was a rear gunner in a bomber, which flew out of England in WW II. The man just turned 90. His wife has been doing a quarterly newsletter for his wartime group for several years. She said there will be only 2 more issues, "...because everyone is dying." I'm hoping I'm not too late to find out some firsthand information on my father's WW II activities. Does anyone have a photo of B-24 S/N 44-42323 (M-25-CO)? 380th history records call this aircraft "LIQUIDATOR," but this has been and continues to be questioned. The only photo we do have is a tail shot (see photo). Aircraft Commander Ernie Capone of the 530th flew this plane on a couple of missions, and the mission logs of Richard Moore, gunner on that crew, say the aicraft 44-42323 was named "LUCKY STAR." 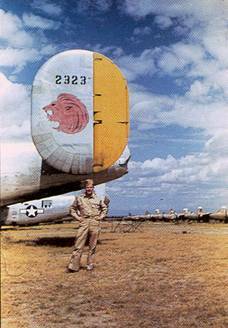 If anyone has a definitive photo of 44-42323 that shows its noseart (whether it is LIQUIDATOR or LUCKY STAR), we can get this issue resolved and make appropriate changes to our records. Thanks so much!! Just a short note to say I was at your old airstrip 50ks southwest of Adelaide River in the Northern Territory last year and it is probably the same as it was many years ago except overgrown. Whilst there I did come across a plaque put there by veterans in 1987 on an old concrete slab, Also an old beer bottle which I kept. I can see what hardships they would have as the country and weather was similar to South Vietnam where I spent some time in 66/67; I was in A/CAV in APCs and did ops with your 11th Armored cavalry. Anyway the runway is still there along with the big U shaped mounds and a few peices of aircraft. So thank you for help all those years ago. Fenton Airstrip is closed to the public until further notice. 1st of July is Territory Day in the Northern Territory and only on that day are people allowed Foreworks, Some idiots took fireworks to Fenton and started a bushfire that burnt a few acres of good stock feed resulting in the Station Owner to padlock the gates. Just talking to Scott Witham, owner of Mt Bundy Station where I was living, and he said Fenton is still closed, and will remain closed until further notice. Probably the only way onto the airstrip would be by air. My name is Geoff Gentilini and I am the lead researcher at Golden Arrow Military Research. We specialize in tracing the steps of individual WWII Veterans to show where they were and what they did during the war. This is a unique process that we have devised as a way to help genealogists, family members and historians gain a better understanding of the experiences of individual WWII Veterans. This service is not offered by the National Archives or any other company in the United States, and it is especially exciting because so many Army and Air Corps Personnel Files were destroyed in the 1973 Personnel Center fire. Many times we can actually reconstruct the service history of those whose records were lost in the fire. In addition to tracing the steps of individual WWII Veterans we also offer Official Military Service Records of WWII Veterans. In most cases we are less expensive than going directly through the government and can have the exact same records ready within about 2 weeks. It can take the government 4 months just to respond to a family member's request for their veteran's records. If you have dealt with the government in requesting records then you know how frustrating it can be. We offer an alternative to the red tape and frustration of dealing directly with them. The reason for this message is about the Plane Talk magazines. My good friend has about 5 or 6 of them. They are from 1943 to 1944. 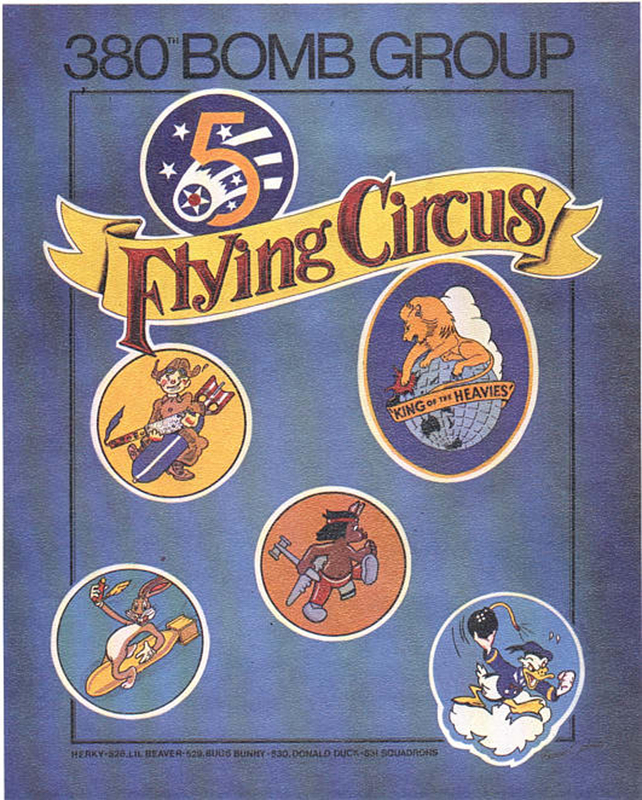 This was a magazine for the employees of Consolidated Vultee Aircraft Corp. Her father worked there during the war in Nashville. They made the B24s. The magazines are only about 30 to 35 pages but they are mostly about the 24s. I thought you might know someone who might be interested in them. She wants about $20.00 for each one. I looked them up on the internet and book sellers have them for $20 to $30 and they say they are rare. Now you can watch the same training films B-24 Liberator ground crews watched during World War II! This is where you finally get to see -- in digitally enhanced form -- all six training films the USAAF produced in 1942 to train B-24 mechanics. Running time is a full 95 minutes for the entire training program. It's fascinating to see the mechanics actually working on and checking out the B-24. Unless you've personally worked on a Liberator, this is probably the first time you'll see what these talented men did to keep the big bombers flying. If you, personally, kept the big ships flying, this will bring back some real memories! This is exciting stuff for the heavy bomber and B-24 Liberator buff and family member. We're pleased to report the film quality is excellent, although WW II film can never look as good as modern high-definition video. The original print of one of the films is not quite up to the standard of the others, but we've cleaned it up and it now looks great. Digital enhancement makes the images even better than the original film. My father was Francis V. See Jr, A/C Commander Squaw Peak (crew 40), lost over Formosa 04/15/1945. He and Co-Pilot Murphy parachuted and were captured and interned at TAIHOKU PRISON (according to records) until liberation Sept 1945. He passed without ever talking to his family about his experiences there. Survived by sons Francis III/Laurence/Charles. Wife Marijo (Horton) See. Dad passed in 2000 while living in Grants Pass, OR. Went to Santa Barbara High School(Class of 1936) and Yale University. Lived in Ventura, CA; Santa Barbara, CA; San Luis Obispo, CA. Please make my email public, as I would like to hear from other 380th Survivors. Any information on the guys that were part of the squadron that flew "Juarez Whistle" would be much appreciated. My father was Paul C. Hebner, of the 530th Squadron, and he was navigator on the Dennis Crew (23). In addition, does anyone have a complete picture of the Juarez Whistle plane?